Eye Exams - Our eye doctor recommends an annual eye exam for most patients with healthy eyes. A typical eye exam checks basic functions such peripheral vision while also looking for signs of vision problems. Vision testing allows us to diagnose refractive errors that might call for correction via glasses, contacts or LASIK. Contact Lens Exams - If you have a refractive error such as nearsightedness or farsightedness, you can usually opt for contact lenses instead of eyeglasses, but this requires additional testing. Our contact lens exams measures your lenses, irises and corneas to assure a perfect fit and accurate vision correction. Diagnosis and Treatment of Eye Conditions - Our optometrists use a combination of sophisticated machinery and years of experience to diagnose eye conditions such as blepharitis, conjunctivitis, glaucoma, macular degeneration, retinal detachment, diabetic retinopathy and cataracts. Once we've identified the problem, we can recommend the appropriate treatment to either resolve an acute condition or manage a chronic one. Optician Services - Once you've received your prescription for corrective lenses, you'll find the glasses you need right here. Our optician services include a beautiful selection of designer frames and leading brands of sunglasses to choose from. We also provide a range of contact lenses, including specialized lenses for conditions such as keratoconus. Sports Vision Training - Athletic endeavors call for extraordinary visual acuity. We can test and train your eyes in such specific areas as contrast sensitivity, visual processing speed, eye teaming and focusing ability. Computer Vision - Computer screens can place severe demands on your eye health and stamina, and the blue light they emit can cause not only strain but potential retinal problems. Our eye doctor can diagnose a case of computer vision syndrome and prescribe solutions ranging from lifestyle adjustments and artificial tears to special anti-glare "blue blocking" lenses. LASIK Eye Pre-surgery and Post-surgery Consultation - If you opt for LASIK vision correction surgery instead of traditional corrective lenses, let Arena Eye Care provide essential assistance. We can write your eye correction prescription, make sure you're a good candidate for the procedure, refer you to an excellent eye surgeon, and then perform the necessary follow-up evaluations. 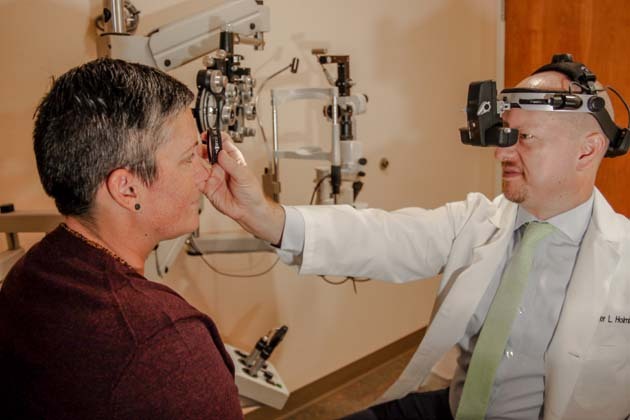 Arena Eye Care Optometry, serves patients Sacramento, Natomas, West Sacramento, Woodland, Davis, Elk Grove, Roseville, Rancho Cordova, Citrus Heights, and Carmichael area. If you want a trusted advisor can help you and your loved ones with their everyday eye care needs, from a routine eye exam to contact lens testing or eyeglass frames, call (916) 419-8167 for a appointment with our skilled, caring optometrists!